Posted April 17th, 2016 by Mike Boyes & filed under Consciousness, Neuroscience, The Self. Description: If you happen to be reviewing these blog posts in order please do not take any particular editorial weight from my having just posted two blogs on ways in which students can cope more effectively at the end of term with the blog that could be read as extolling the virtues of LSD as a mechanism for getting in touch with the larger purpose of our existence. The reality is I just happen across this particular opinion piece linked below was quite taken with the neuroscience it mentions in relation to issues in human consciousness. So, what do you think, might there be a relationship between various religious practices aimed at moving us away from an over focus on ourselves and the sorts of experiences provided by drugs like LSD that seem to provide similar experiences? Give the article read and see what you think. 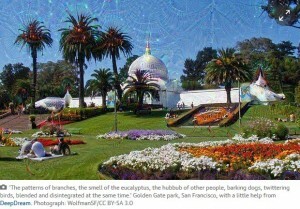 Source: What LSD tells us about human nature, Marc Lewis, Drugs, Opinion, The Guardian. One concern that I’ve spoken about in my introductory psychology classes over the last few decades has been the general tendency for a neuroscientific approach to understanding human behaviour being essentially reductionist in that it focuses on correlations between not well understood aspects of neural functioning and equally not well understood aspects of human psychological experience. We find it hard to believe that some of the wonder and profound insights that are linked to our sense of self and our feelings about our place in the world could anyway be reduced to the function of an even complicated array of neurons in the brain. I’m not sure I am prepared to let this go just yet however, the research described in this opinion piece present some fascinating data to reflect upon in relation to this essentially existential question or questions. 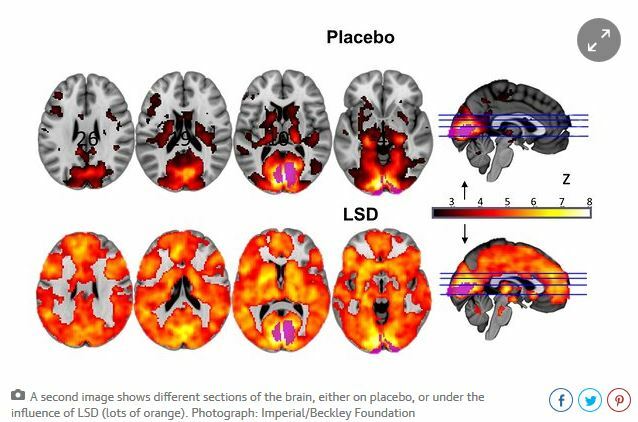 What are the general findings and beliefs about the way that drugs like LSD influence the functioning of our brain? What are some of the ways in which we might think about the nature of our self-concept, our consciousness, and our ongoing sense of engagement with the world and the relationship of these complex notions to the neural functioning within our brains? What might some of the ethical implications be of the suggestions made by the author of this current opinion piece in relation to what he sees as the potentially positive experiences provided by drugs like LSD?